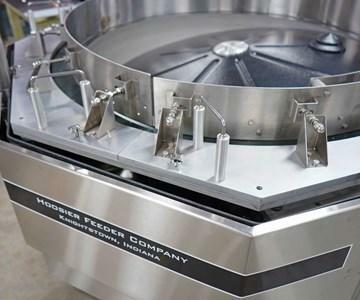 Most rotary feeder applications fall under the Standard Centrifugal category, however, some projects require a more specific machine. 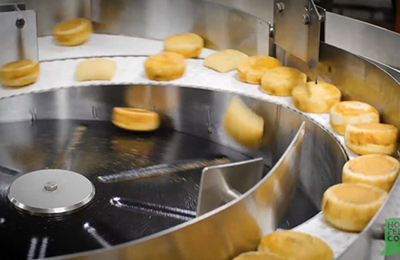 Scallop & Puck centrifugal feeders are a slightly more specific and optimized variety, better suit for cylindrical parts or parts with a high length to diameter ratio. If part geometry allows, we look to scallop feeders to achieve extremely high feed rates. 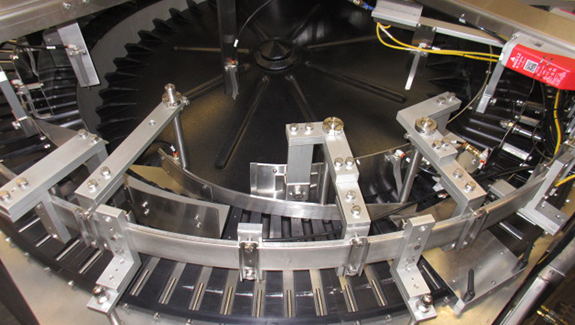 When parts cannot stand up by themselves we implement pucks to provide a stable base as they move through the system. 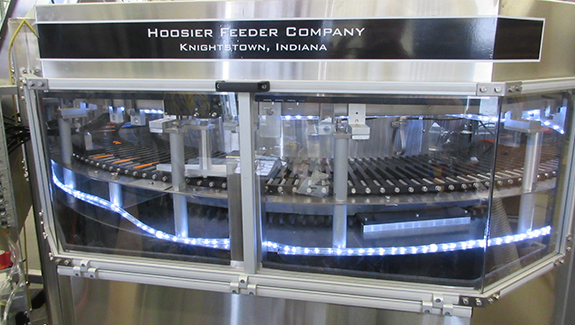 Hoosier Feeder Company has an extensive history with Scallop and Scallop & Puck feeder systems so we will make sure the system is built exactly to your requirements and that it is implemented correctly on your floor.